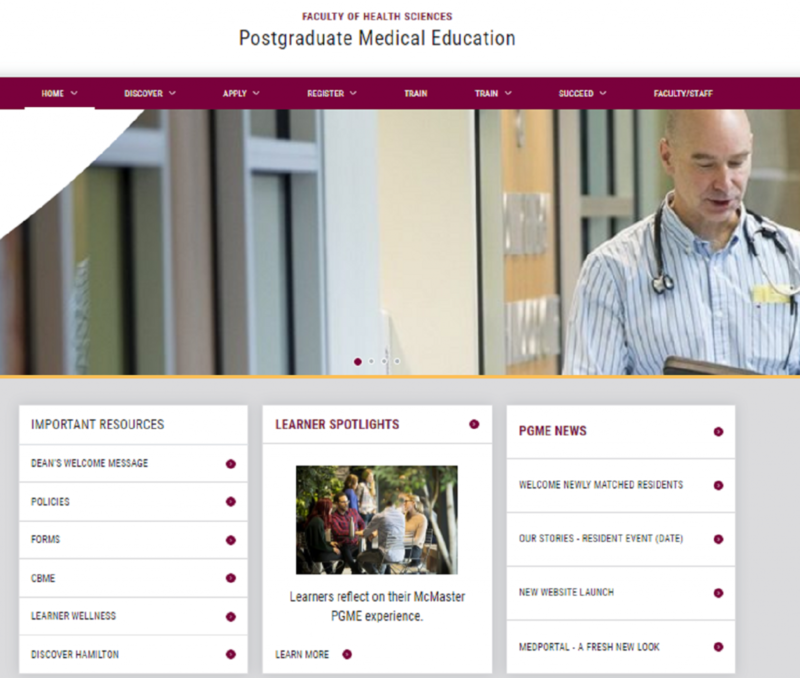 McMaster PGME is excited to launch its new website. Our goal is to provide an intuitive user-friendly site where visitors can easily access information. We want to highlight the McMaster PGME experience for those considering pursuing their learning goals at our institution. We would like to thank our faculty and our learners who contributed to this narrative by providing their perspectives and taking the time to attend photo sessions to put faces to their stories. Their praise for their programs, their colleagues, their teachers, their mentors and their passion for learning is inspiring and helps us illustrate why McMaster University is a premier destination for medical education in Canada.